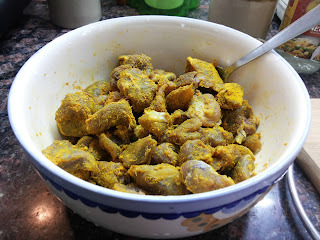 Place the mutton pieces in a large bowl and mix in the turmeric, garlic and ginger paste, lime juice and salt. 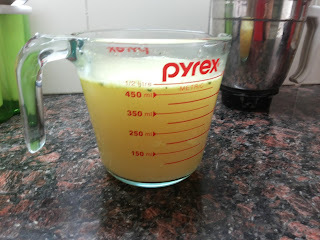 Allow to marinate for about four hours or overnight. 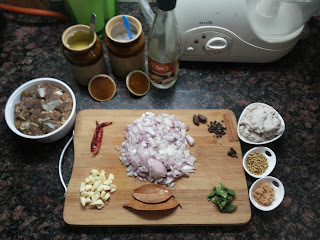 Prep all the remaining ingredients to save time whilst cooking. 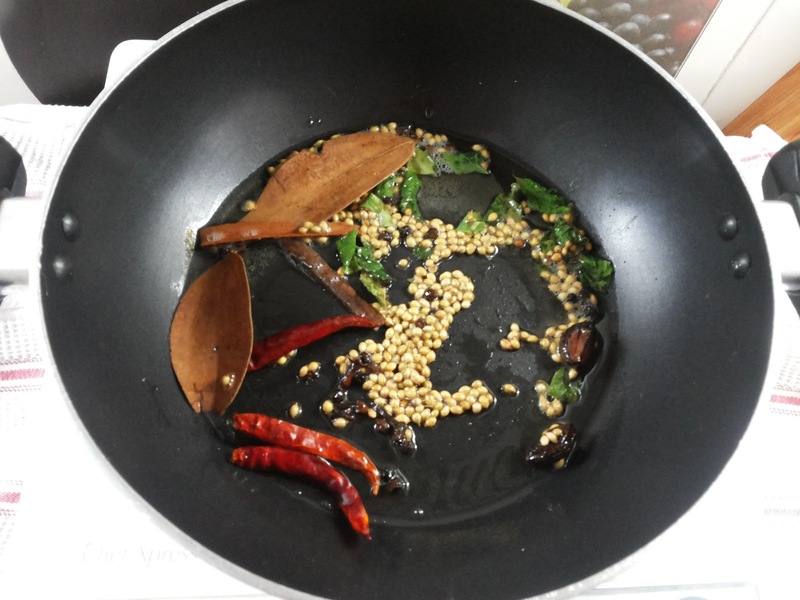 When ready to cook, heat the oil in a large wok or pan over medium high heat. 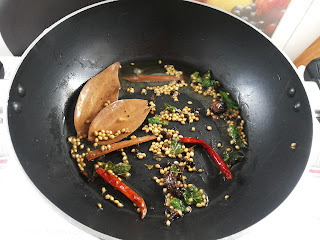 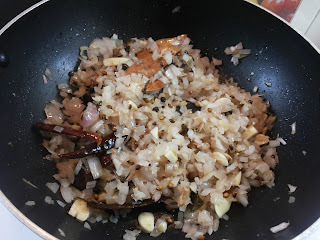 When the oil begins to bubble, add the curry leaves, cardamom pods, cloves, peppercorns, dried chilies, coriander seeds and bay leaves. 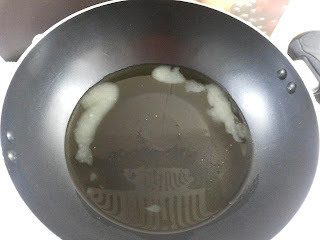 Fry for about two minutes, stirring the spices so that they cook evenly and don’t burn. 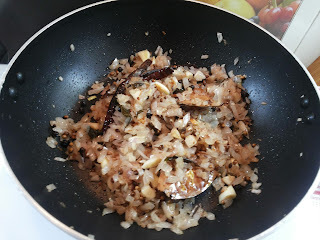 Add the chopped onions and the crushed garlic and ginger and fry until the onions are soft, translucent and lightly browned. Be careful not to burn the garlic. 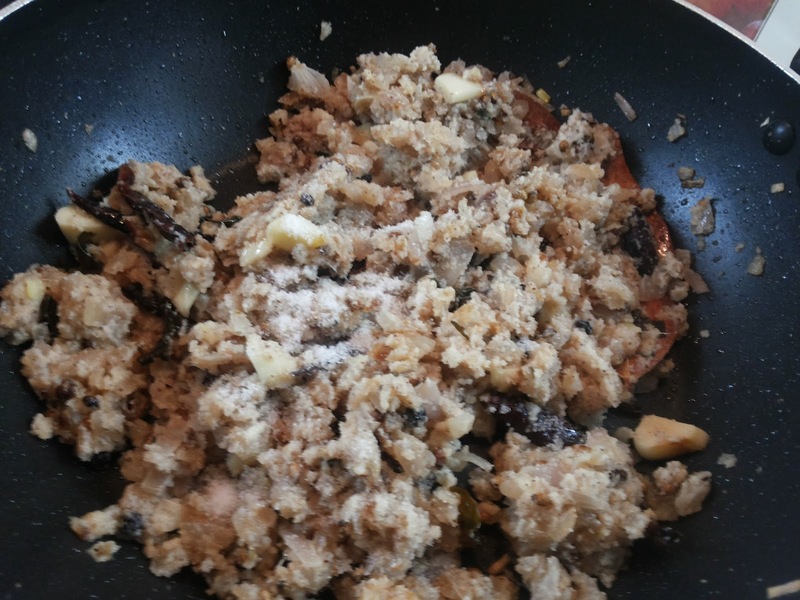 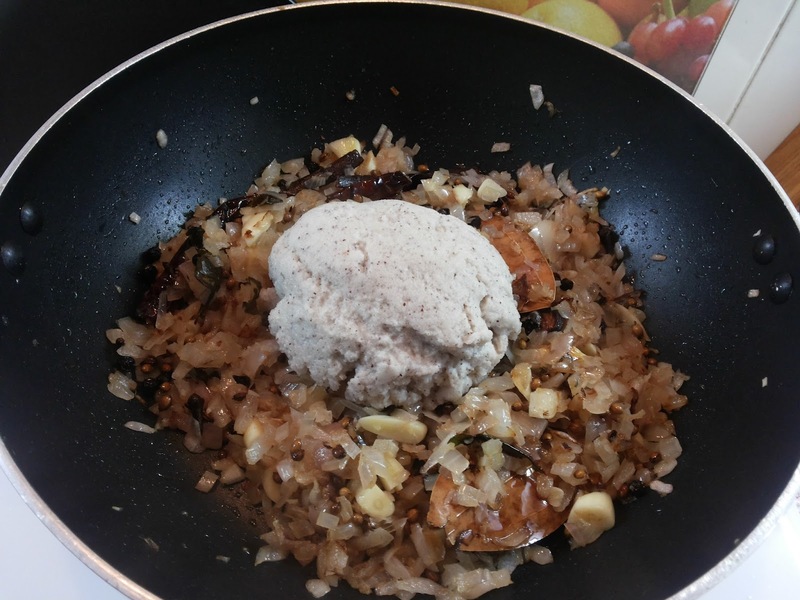 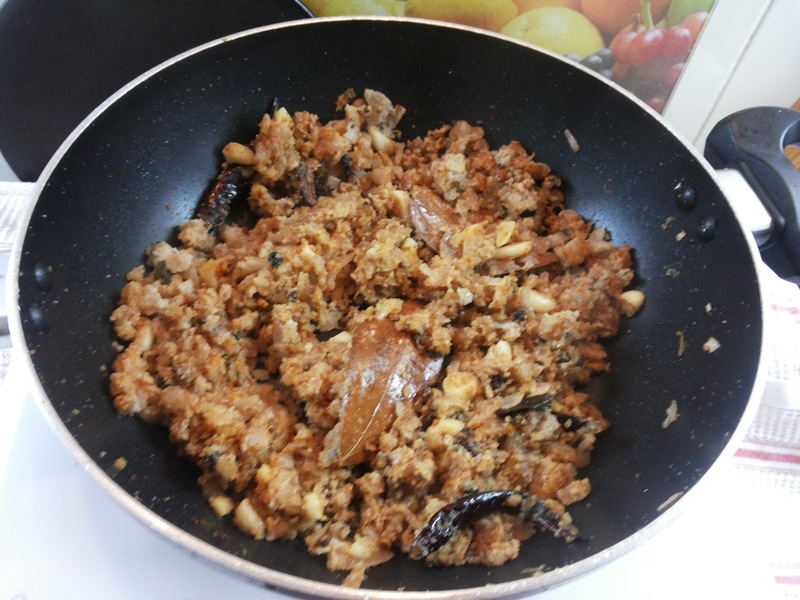 Pour in the grated coconut and continue to fry until it is light brown in colour. 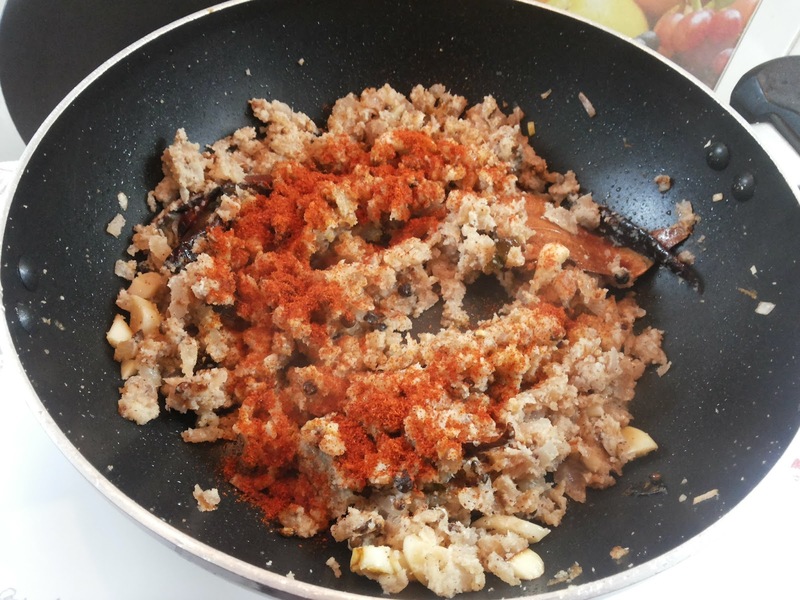 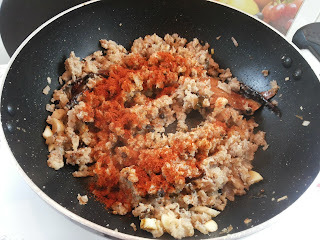 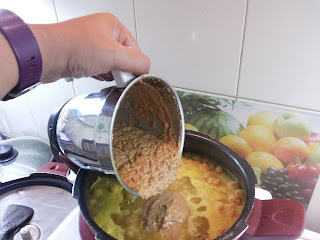 Add Chilli powder to this mixture. 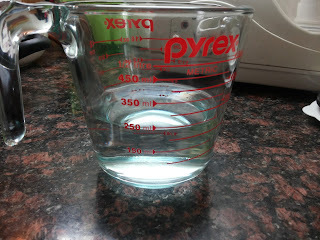 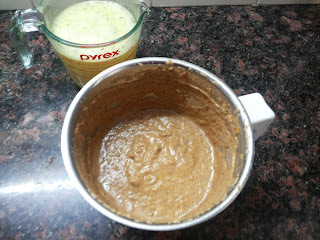 When cooled, blend with about 250ml of water into a fine paste. 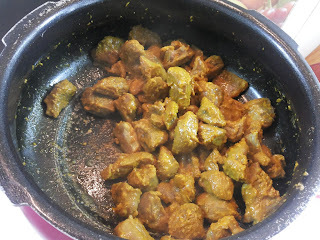 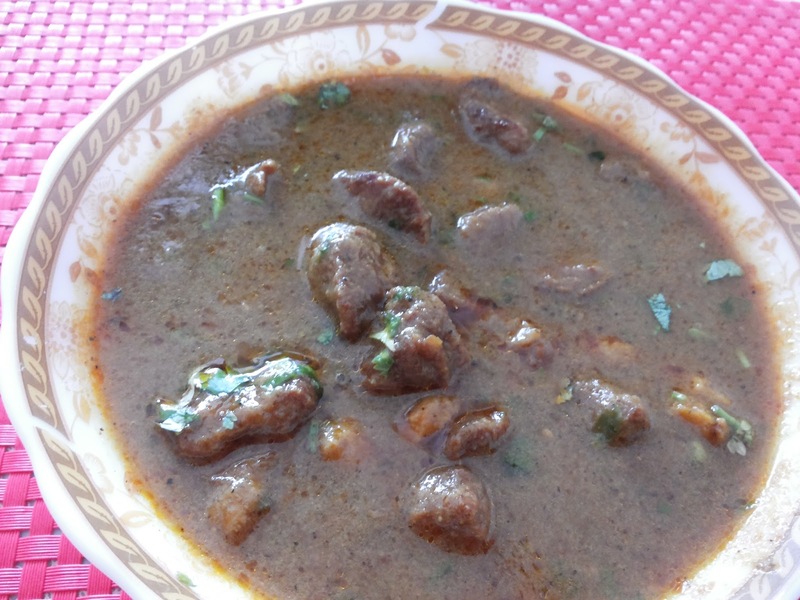 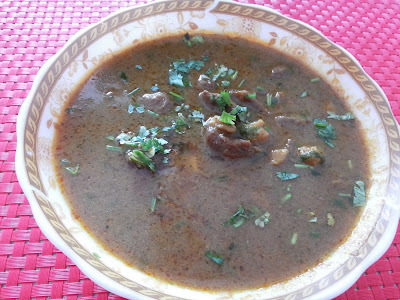 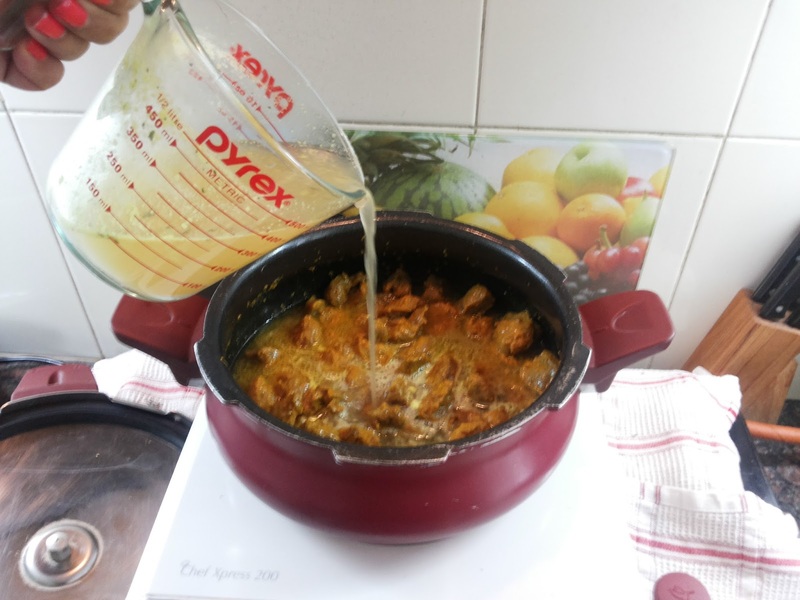 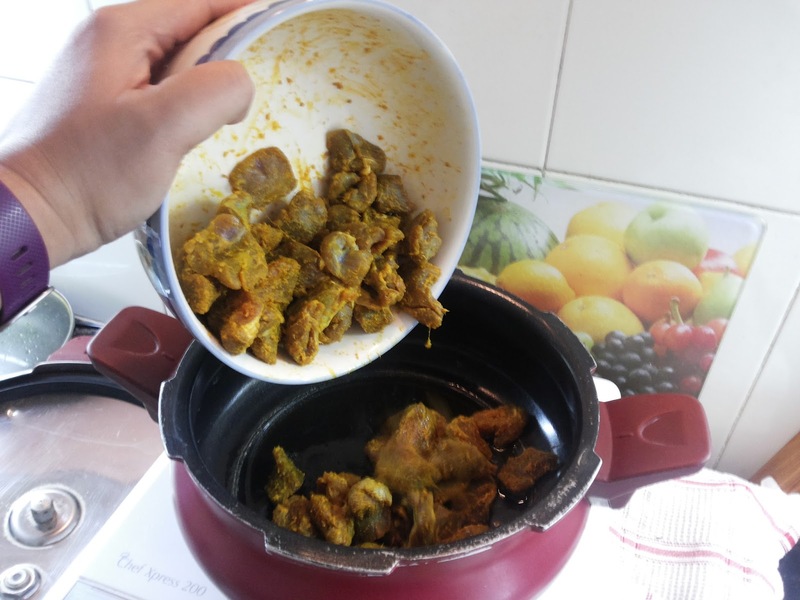 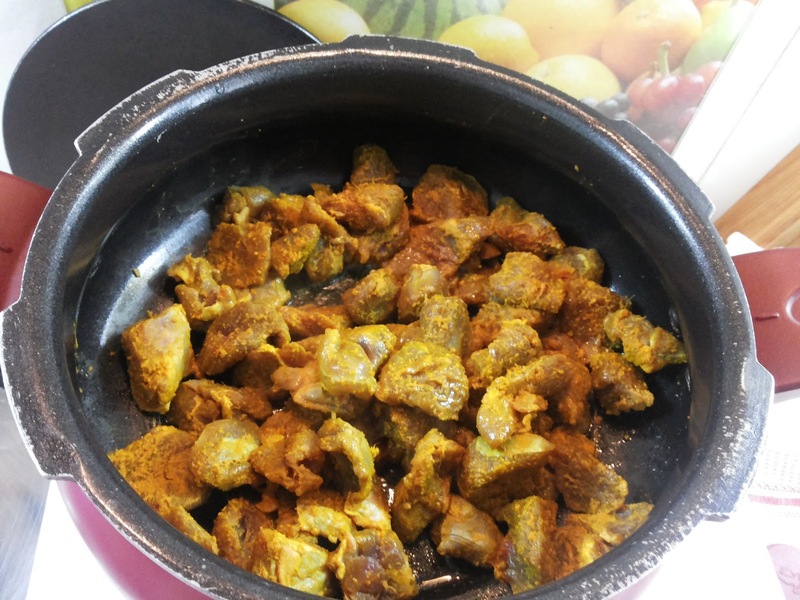 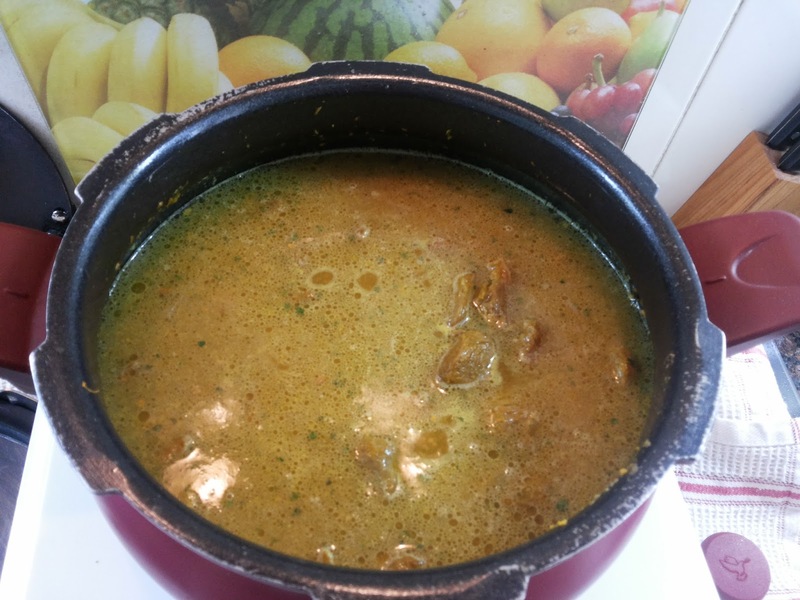 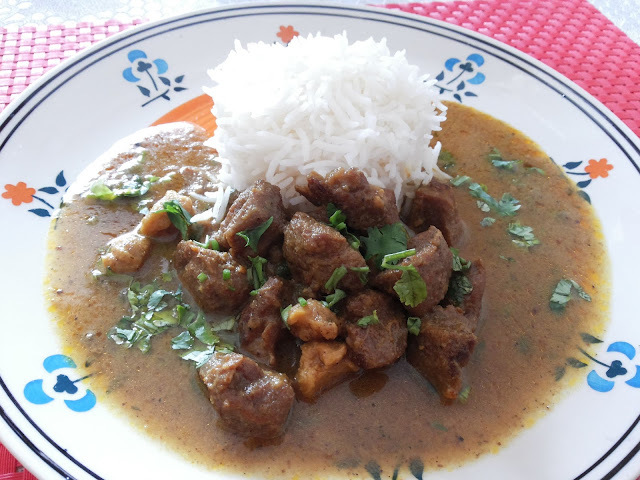 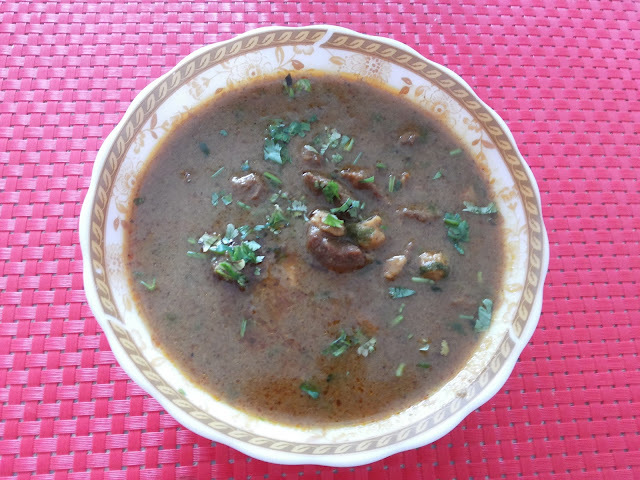 Place the marinated mutton in a pressure cooker and brown the mutton cubes over medium heat. 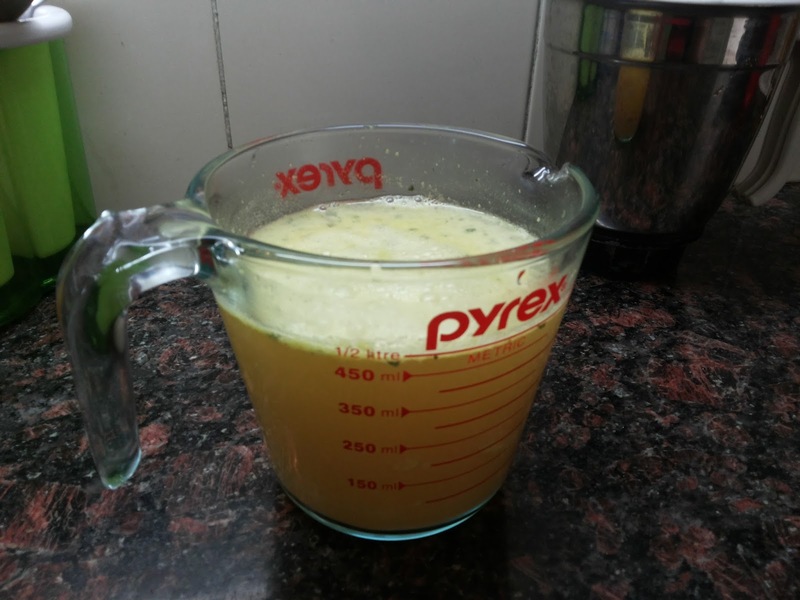 Add about 500ml of chicken stock or water and bring to a boil over medium high heat. 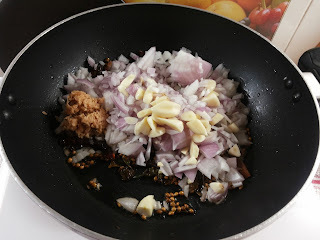 Add the onion mixture and pressure cook it for 20 minutes or until the mutton is good and tender. Add salt to taste. 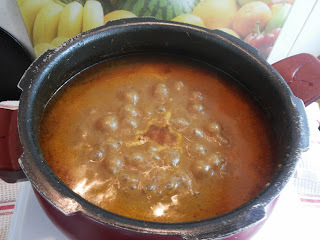 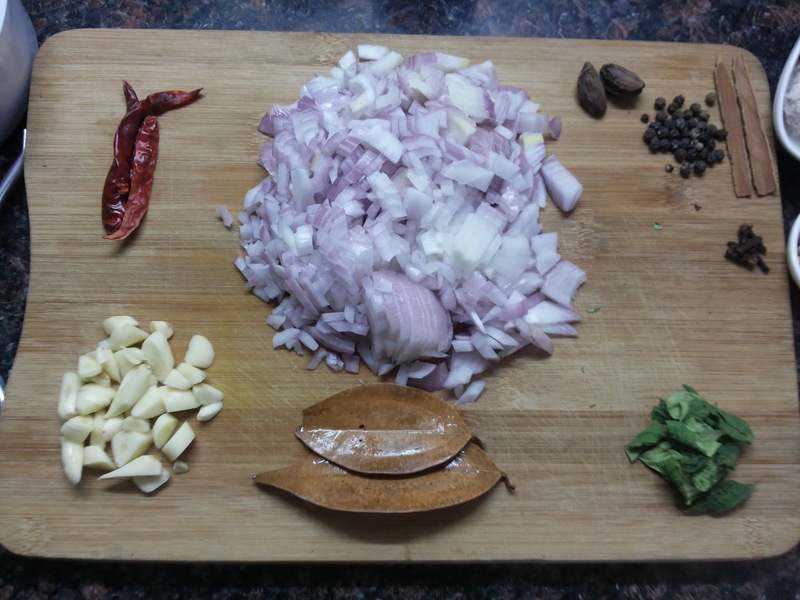 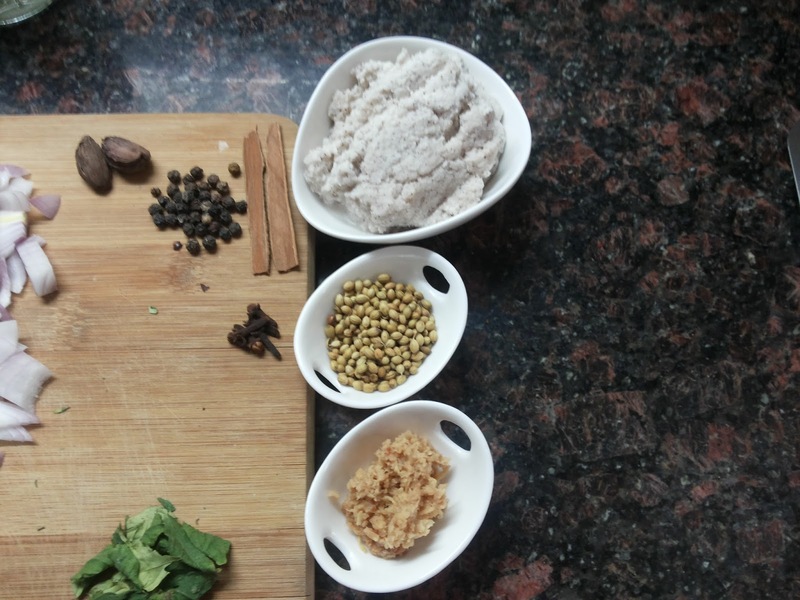 Adjust the consistency of the curry according to how you prefer your curries to be. 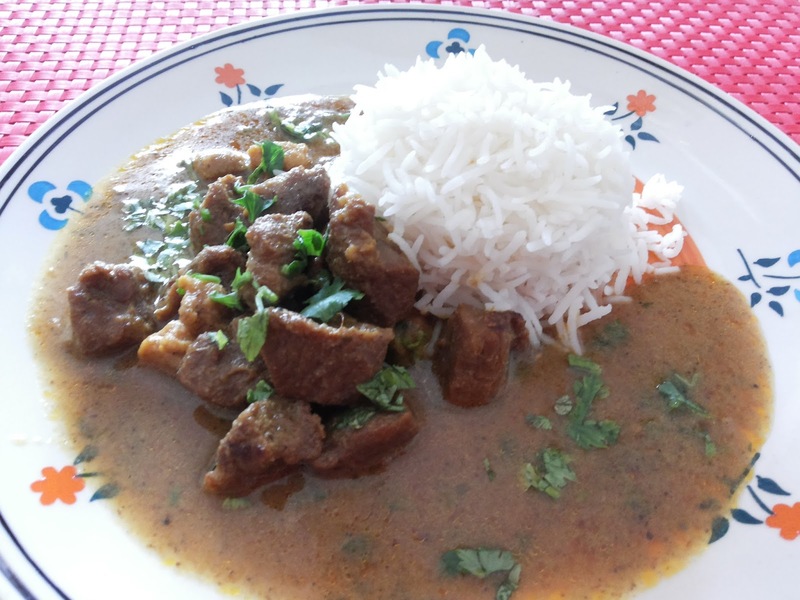 Serve with fluffy white rice and/or naans or pav.